Six (6) hybrid teas, each a different variety, exhibited in separate containers. If there are fewer than three (3) entries, the class shall not be judged unless, in the opinion of the judges, the exhibit is outstanding and merits the honor. Seven (7) miniature roses each a different variety, exhibited in separate containers. If there are fewer than three (3) entries, the class shall not be judged unless, in the opinion of the judges, the exhibit is outstanding and merits the honor. Three (3) pink-blend hybrid teas. One variety or three different varieties exhibited in separate containers. Three (3) medium red or dark red hybrid teas. One variety or three different varieties exhibited in separate containers. 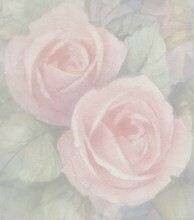 Three (3) mauve or mauve blend roses. Three different varieties of any types exhibited in separate containers. Three (3) light, medium, deep yellow, or yellow-blend hybrid teas. One variety or three different varieties exhibited in separate containers. Three (3) floribunda sprays, one variety or three different varieties, exhibited in separate containers. One (1) floribunda spray, any variety. Hybrid tea cycle of bloom. Three (3) hybrid teas of the same variety, a bud with color, an exhibition stage bloom, and a fully opened bloom, exhibited in separate containers. Three (3) white hybrid teas, any combination of varieties, exhibited in separate containers. Three (3) different AARS winners, any types, exhibited in separate containers. Hybrid teas, grandifloras and miniatures must be shown disbudded. English-style box of six (6) hybrid teas or grandiflora roses, no more than two of any variety. Box supplied by the exhibitor. ARS Best English Box Certificate. Miniature English-style box of six (6) different varieties. Box supplied by exhibitor. ARS Best Miniature English Box Certificate. One (1) stem of any type of single rose up to 8 petals. One bloom per stem or one spray. One (1) disbudded specimen of any hybrid tea rose containing "Peace" in its name. Three (3) light, medium or deep pink hybrid teas, disbudded, any combination of varieties, exhibited in separate containers with individual tags. Three (3) stems consisting of one hybrid tea (disbudded), one grandiflora (disbudded) and one floribunda spray, exhibited in separate containers. Three (3) different disbudded varieties of hybrid teas introduced within the last five years, exhibited in separate containers. One (1) disbudded specimen, of any class, dark or medium red, fragrant rose with exhibition form. Five (5) stems consisting of three hybrid teas (disbudded), and two floribunda sprays, exhibited in separate containers. Any combination of varieties. Five (5) mini-flora blooms of exhibition form, each a different variety, exhibited in separate containers. In memory of J. Benjamin Williams. Three (3) stems of a Blend rose, any type rose, three different blends. The exhibit may be staged with all three stems in one container or three separate containers, the choice is the exhibitor's. Best Novice Arrangement in show. Best Traditional Arrangement in show. Best Oriental Manner Arrangement, large or small, in show. Best Large Arrangement in show. Best Mini-Flora Arrangement, any style. In memory of J. Benjamin Williams.